With a little effort on your part, you can improve your chances of securing sought-after executive positions. Building a strong, career-focused network can lead you to a great job or collaboration if you take the time to learn the right techniques. While the process of improving your social persona and impressing executive recruitment specialists isn’t that hard, it does require you to invest some time in putting together a polished social media profile. In order for you to stand out in a crowd of potential recruits, you have to strive to put your best foot forward both in the real world and online. From the quality of your photo to the tone of your professional statement, everything has to fall in line with presenting a determined, professional and experienced image of yourself. In today’s modern, fast-paced business world, the importance of social media exposure can’t be understated. If you want to fit in and take full advantages of the digital age, then you need to invest time in building a LinkedIn network with other executives and executive recruiters. As an executive, it’s crucial that you are always expanding your reach online and to do this, you need to maintain a clean-cut, positive LinkedIn profile. Start with a professional-looking profile picture. It should be a clean and professional photo of you with a neutral background, wearing appropriate business attire and in a neutral pose. Showing off your quirks can occasionally make you stand out from the crowd but this is not the place to bring the stranger side of your personality to the forefront. To have a shot at connecting with the right executive recruiters, you need to maintain your professional image. Executive recruiters won’t choose your profile based on how fun you are, you have to show determination and professionalism. Rather than showcasing your quirky, fun-loving side, focus on posting insightful content related to your specific field. Use field-related keywords to show what you’re all about and dedicate your summary section for a brief explanation of your professional goals and conduct. 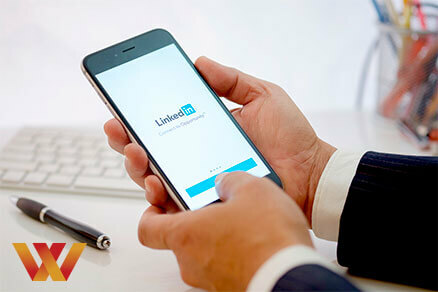 Managing your profile in this way will help you reach more of the right people and allow you to network better through the LinkedIn platform. Spending time on LinkedIn, you’ll quickly realise that there are a lot of strangers or distant acquaintances that will be trying to get into your circles. Don’t add random people that you don’t really know or who don’t add value to your network. Instead, focus on adding those who are relevant toward reaching your professional goals. If you invest time and look for more relevant connections, you’ll start seeing a lot more relevant requests going forward. LinkedIn is, ultimately, a social networking platform. Find groups that are frequented by people who will help you increase your reach. Engage in conversations while respecting each group’s rules and show potential executive recruiters that you’re well-informed, social, and are taking an active interest in expanding your horizons. Ultimately, you’re trying to show people in your online network that you’re serious, reliable, and up-to-date with all that’s happening in your area of expertise. Your LinkedIn feed is where you can share this professional image of yourself and showcase these traits to other users. Portraying the right image of yourself to others will help you to build a more valuable network which, in turn, will expand over time and help you to reach the right people to move your executive career forward.